Especially when they come after a long, long hike. You’ve cleared your thoughts. You’ve cleared your lungs. And the stress is gone. What better way to call it a day than to sit down with your significant other, your family, your friends… and simply relax with a nice meal and a glass of wine. That last thing is one of the reasons I LOVE picnic backpacks. 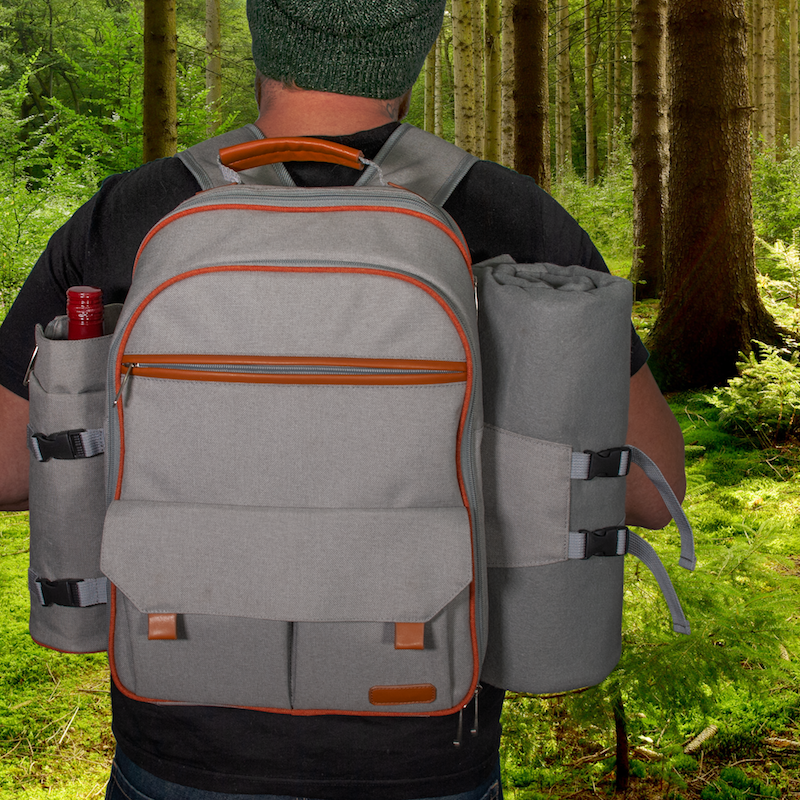 Unlike picnic baskets, backpacks give you the pleasure of mobility, freeing your hands, and ease of carrying. Because of their design, you can be sure that everything you need is in one place – everything from food to plates to glasses and blankets. However, with the increased popularity of picnic backpacks, more and more companies started manufacturing and selling them. With the plethora of options to choose from, it gets much easier to choose the one that doesn’t necessary fits your needs. 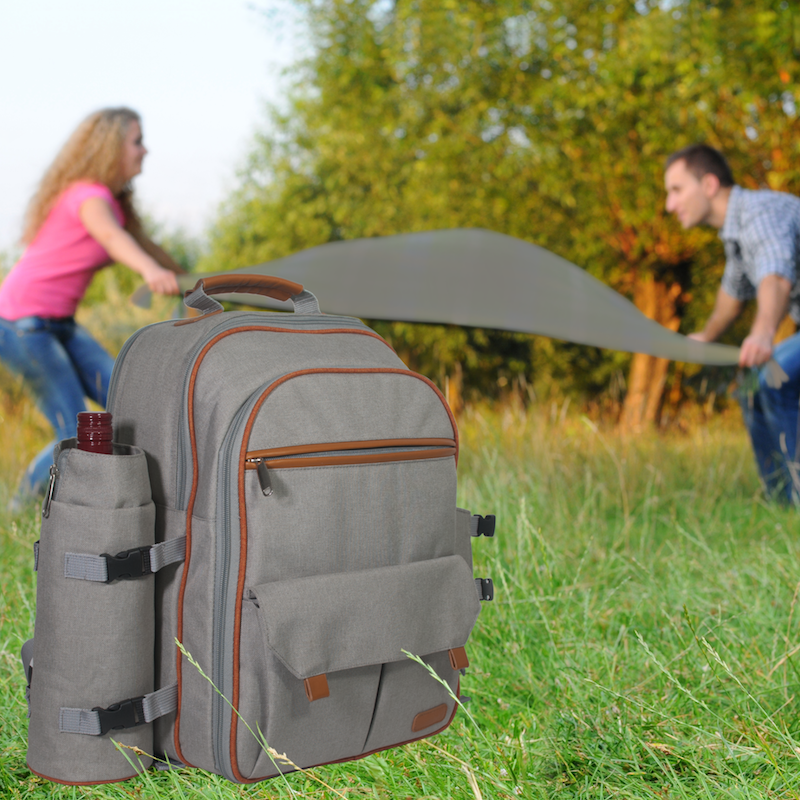 That’s why here you’ll find a list of things that you should look for and be aware of when buying a picnic backpack for your favorite outdoor activities. 1. Is it comfortable to carry? As I mentioned earlier, I love having a picnic after a long hike. That means that I’ll have to carry my backpack for a few miles. If that’s you as well, then you need to make sure that your backpack has an ergonomic design that will fit along your back. Also, and this is very important, make sure that your backpack has padded straps that provide you the extra comfort. After all, your shoulders will carry the backpack for a long time, and the last thing you want is for the straps to cause you pain. Your picnic backpack should not be a burden on your shoulders. Most picnic backpacks have it, but a few of them don’t. You want to be sure that yours comes with an insulated lining and detachable waterproof inner pouch in the cooler compartment. This will make sure that your warm food stays warmer, and cold food colder for a longer time. The last thing that you want to happen to you is to, after a long hike, sit down for a picnic only to realize that your food is spilled all over your backpack, or that it lost its freshness. 3. Is everything you need for a picnic already packed? One of the top reasons why I (and many other people) love picnic backpacks is because they’re basically grab-n-go. 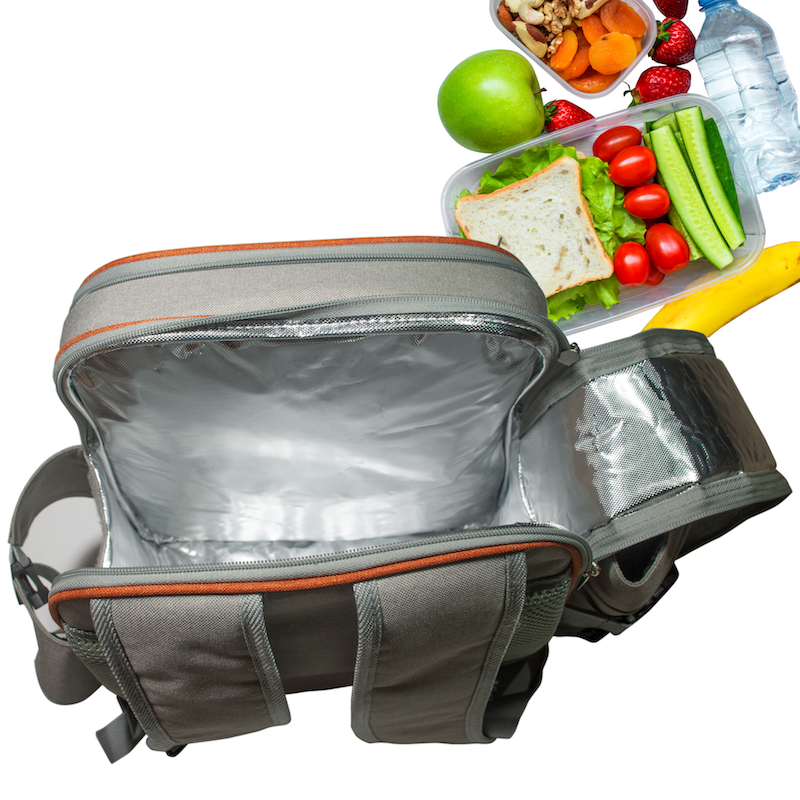 You just put the food in, put the backpack on your back, and you’re good to go. 4. Does it have enough space inside? Again, the reason you want to carry a picnic backpack is convenience. But that doesn’t mean just being easy to carry. It also means that you can fit enough food inside, along with plates, knives, etc. Make sure you check the dimensions of the food compartment to avoid unpleasant surprises when you start packing. 5. Does the manufacturer stand behind its product? As I mentioned earlier, with the rise of the popularity of the picnic backpacks, many companies started manufacturing and selling them. Unfortunately, some of them are, in an attempt to make as much money as fast as they can, making the backpacks of questionable quality. To be sure that you’re buying the real deal, check if the seller is giving any kind of guarantee, preferably a money-back guarantee. In that case, if you’re unsatisfied with the backpack you got, you can replace it, or even ask for a refund and get a new one. Some of the things listed here might be obvious, some of them not. 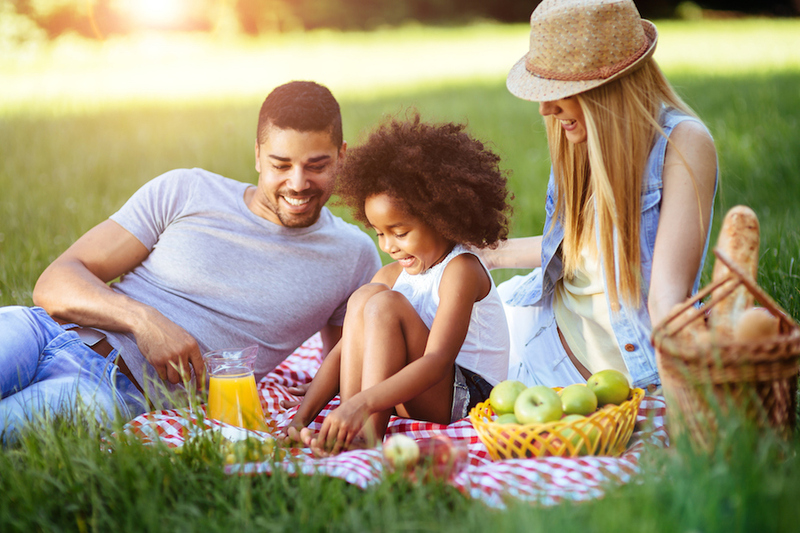 All in all, you know have a clearer picture of what to look for, what to avoid, and how to be safe when you’re buying your next (or your first) picnic backpack. P.S. 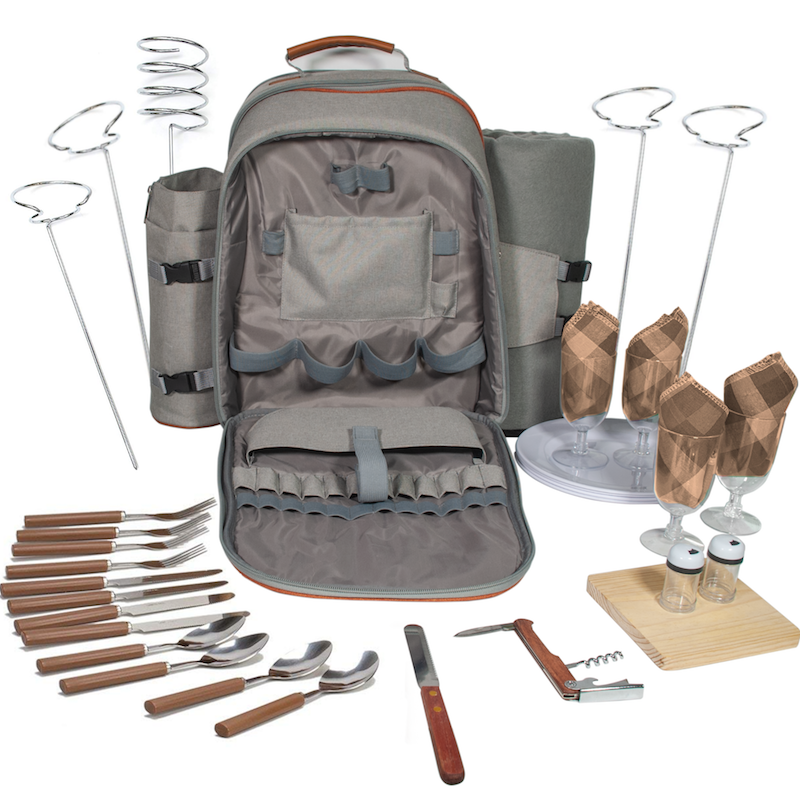 I get a lot of messages from people asking me which picnic backpack I use and recommend. Personally, I use Frux Home and Yard's picnic backpack. 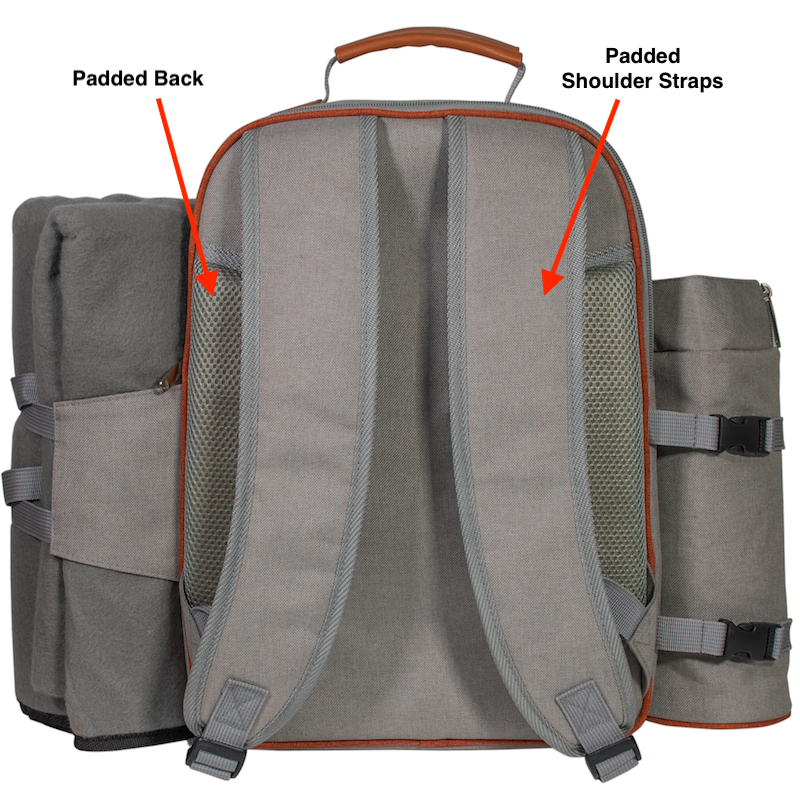 It’s comfortable to carry, feels great on my back and shoulders, and it comes with everything I need for a 4-person picnic. It’s pretty durable and very affordable. You can check it out on Amazon here.